In order to be able to offer you the most complete music experience, we have always betted on publishing our albums on physical support of the highest quality. That is the reason why it makes us so happy to tell you about the first MANTIIS double LP 12” 180 g. vinyl edition; a limited deluxe collector’s edition that preserves every detail from the original design by Ritxi Ostáriz and Elena Gallen. 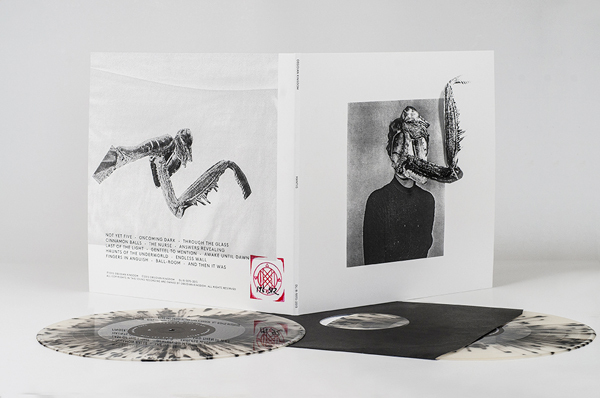 This first edition, limited to 512 copies and produced in top-notch quality materials, includes a 14 page booklet and two custom speckled vinyls in black jackets and has been hand-numbered and sealed by ourselves. It also comes with a transparent plastic overbag for optimal preservation. You are invited to take a look at it in our online store; we hope that it will soon become a valuable piece of your collection.